SIEMENS has beaten off competition to win an order to build 94 deep-level Tube trains for London Underground. The order, confirmed by Transport for London, will be to design and build a new generation of trains for the Piccadilly Line. Construction will take place at Siemens’ Goole factory, which is yet to be built. 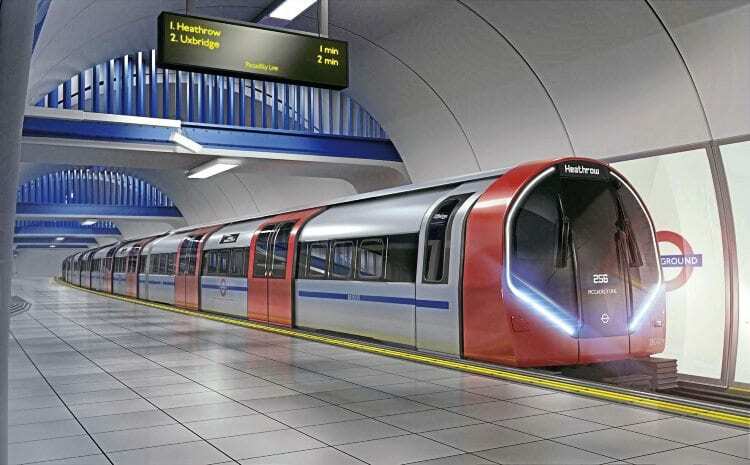 A computer-generated image of how the new Siemens ‘Inspiro’ Tube trains will look. Each new train will be six metres longer than the Piccadilly Line trains. They will include walk-through, fully air-conditioned carriages and improved accessibility. Twenty-two UK suppliers have been identified in the bid to potentially work with Siemens on the build of the trains. In addition, at least 50 new apprentice and graduate positions could be created, on top of 700 in engineering and manufacturing roles. A further 250 workers will be involved with the factory’s construction.